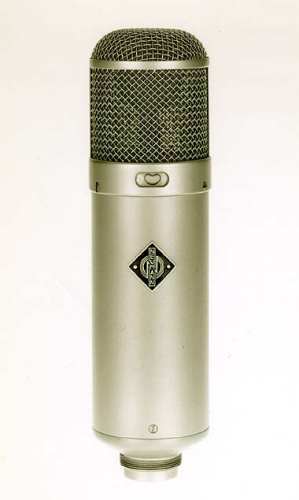 The classic tube condenser microphones. We have three U-47s, and three U-48s. They are identical except for the choice of polar patterns. The 47s have Cardioid and Omni, the 48s Cardioid and Bi-Directional ("Figure-8").